Agonizing over how many boxes (pallets?) of Girl Scout cookies -- and which kinds -- to order from your niece or other local dealer is an annual tradition. Do you stick exclusively with standbys like Thin Mints and Samoas, or maybe switch things up with box or two of Do-Si-Dos? It's a tough decision for sure, and one that's about to get a little bit tougher this year now that the Girl Scouts are adding yet another cookie option to their legendary lineup of sweet treats: the Caramel Chocolate Chip. The Girl Scouts announced the brand new gluten-free Caramel Chocolate Chip cookie will join its 2019 lineup, should you feel compelled to try something different next time you place an order with whatever bright young lady you typically buy your carb-and-sugar haul from during GS cookie season. 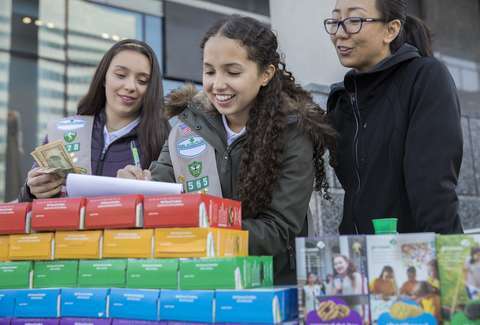 The cookies will only be available in select areas, though, so you may need to tap into your network of fellow Girl Scout cookie fiends around the country to get your hands on a box. They'll also be a bit pricier than the others, since gluten-free cookies tend to be a bit more expensive to produce. 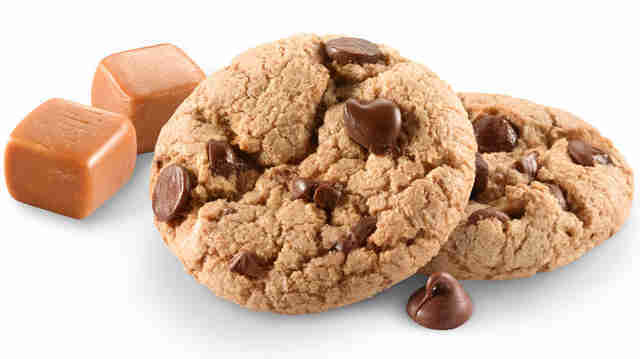 Besides the Caramel Chocolate Chip, 2019 will also see the return of the gluten-free Toffee-Tastic Cookie in select markets, which originally made its debut back in 2015. However, you still have plenty of time to figure out what boxes to put yourself down for, since cookie season doesn't officially kick off until January.